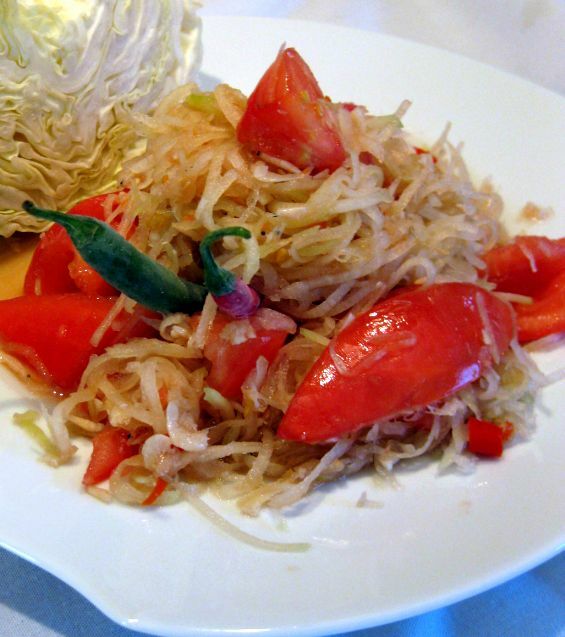 Tam mak hoong is a traditional Lao and Thai Salad made from shredded un-ripened papaya that you can find at some Asian store. Tam mak hoong is often served with sticky rice and Ping Gai (BBQ chicken wing). 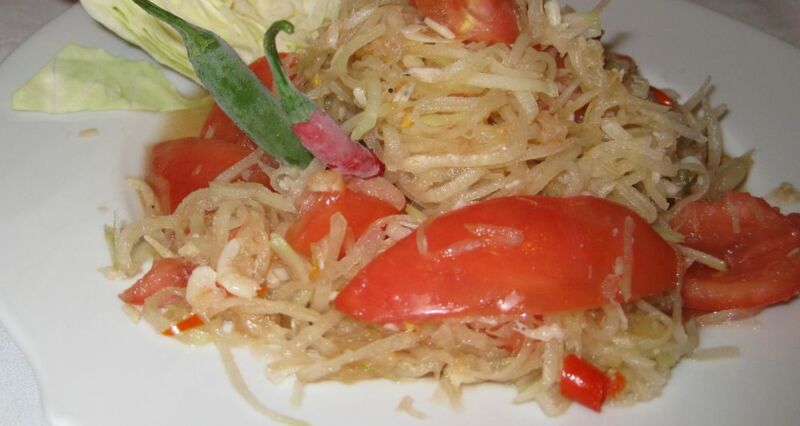 Tam mak hoong is made according to your taste such as spicy, salty, and sweet so there are no specific measurement, you will to taste it and figure out how you like your Tam mak hoong. 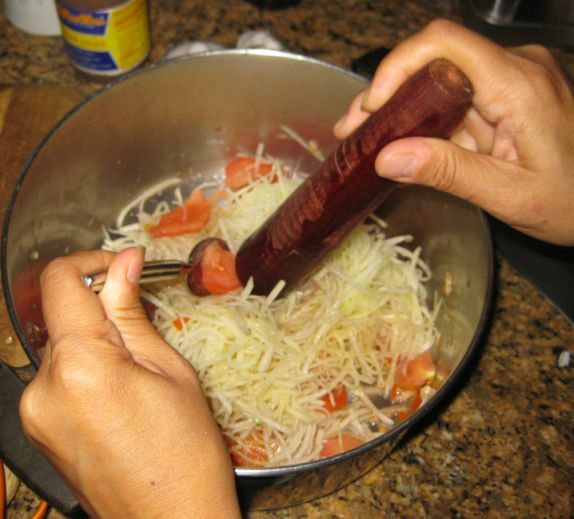 Tam mak hoong is very easy to make, and there are no cooking involve. 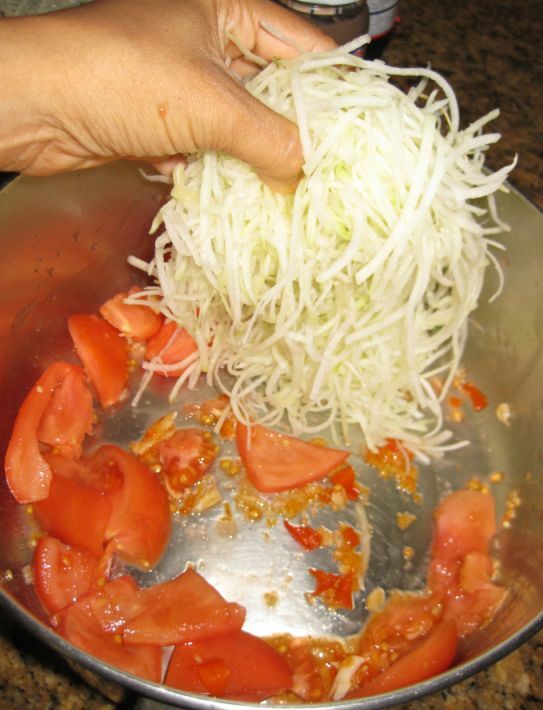 All you need to do is to have a mortar and pestle to pound all the ingredients together. 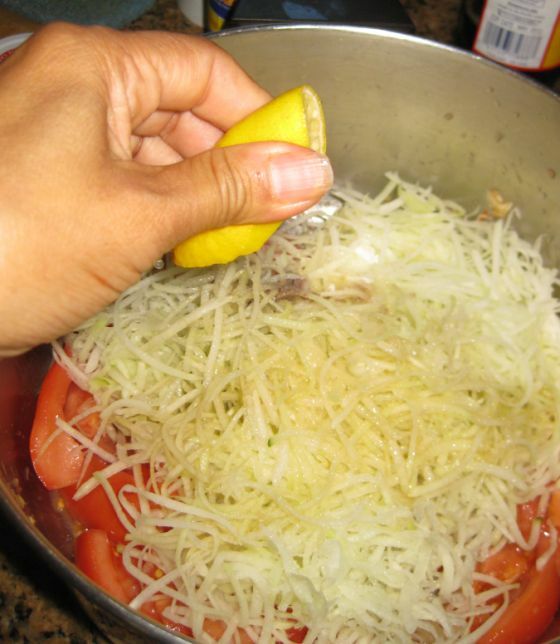 I love this dish because it is easy to make and it also very low in calories. Tam mak hoong is such a colorful dish. 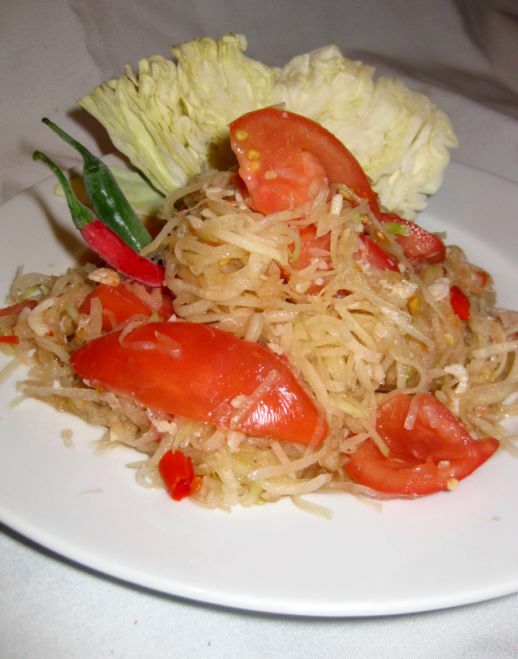 Perfect dish to eat when the weather is hot. Close look at the Tam mak hoong. 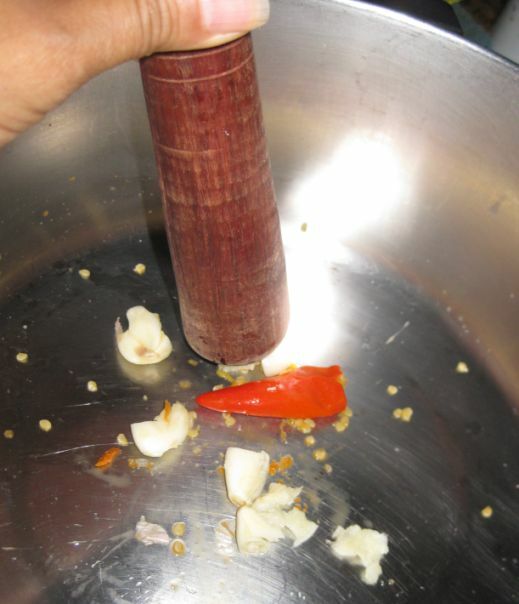 Equipment: mortar and pestle - I use a large metal pan instead because my mortar is too small. 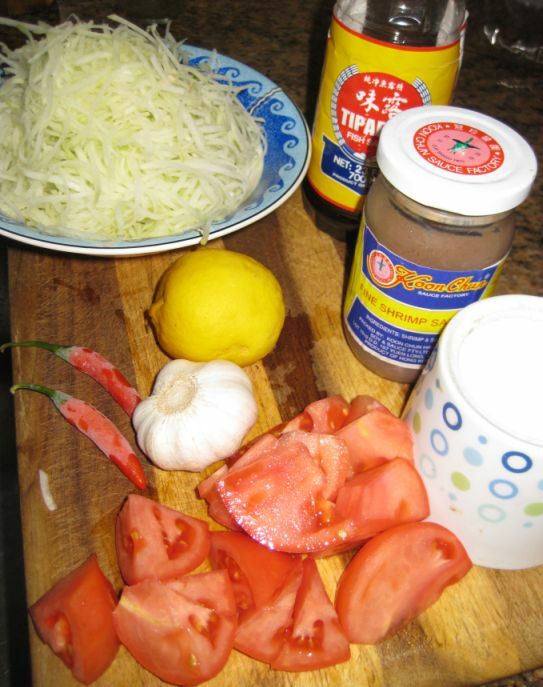 Here are all the ingredients for Tam mak hoong. Put the garlic an pepper together and pound until it is smashed into small piece. 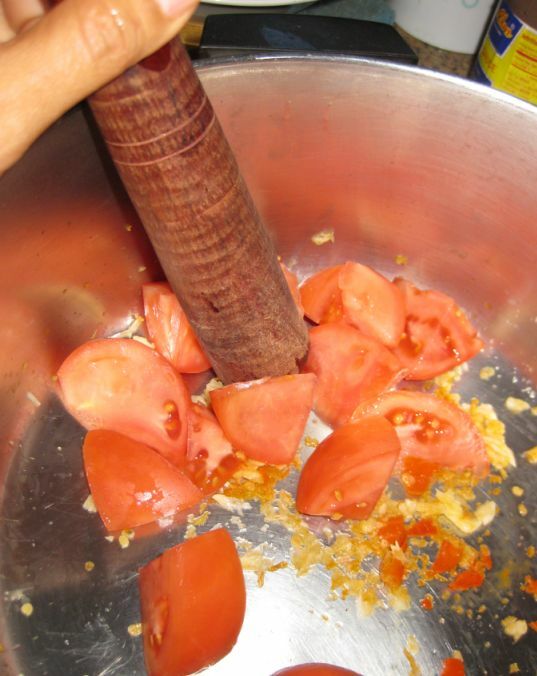 Put the tomato in the pan (or mortar) and pound until the juices are released. 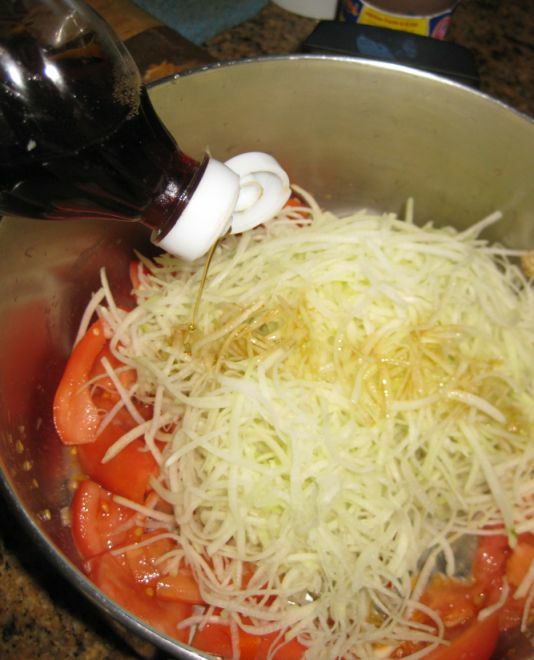 Add the fish sauce... go slowly so you can add some more if it is not salty enough. 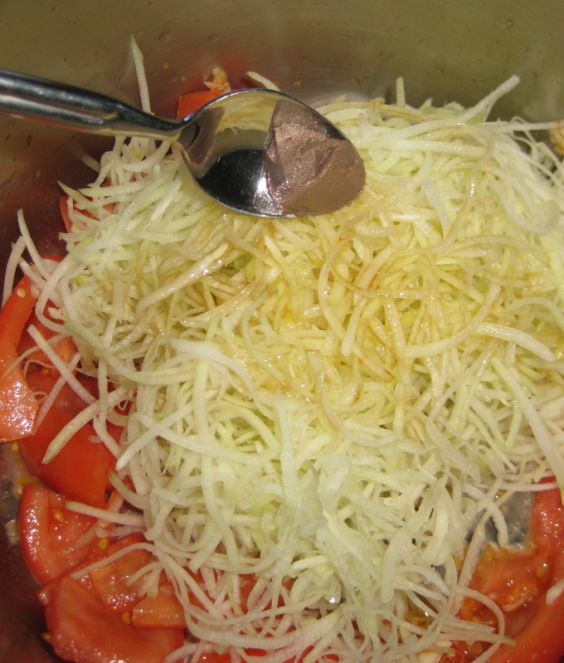 Keep pounding all the ingredients together until all the ingredients are well mixed together. 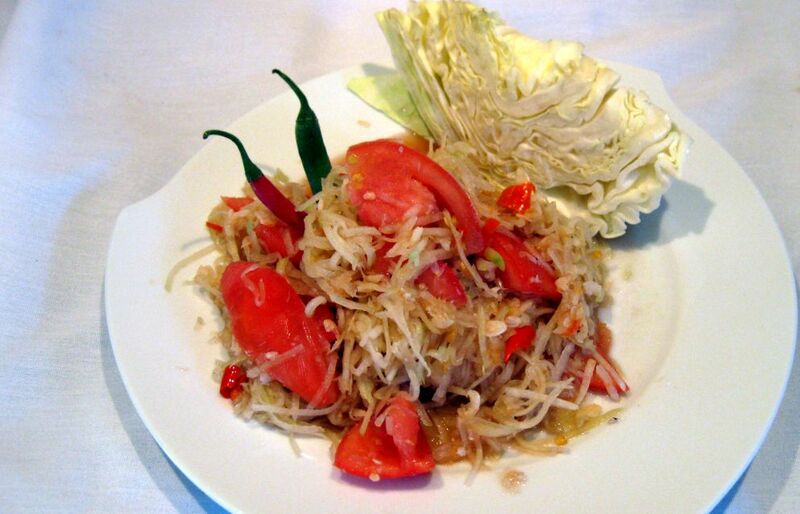 Taste you Tam mak hoong add adjust seasoning accordingly. 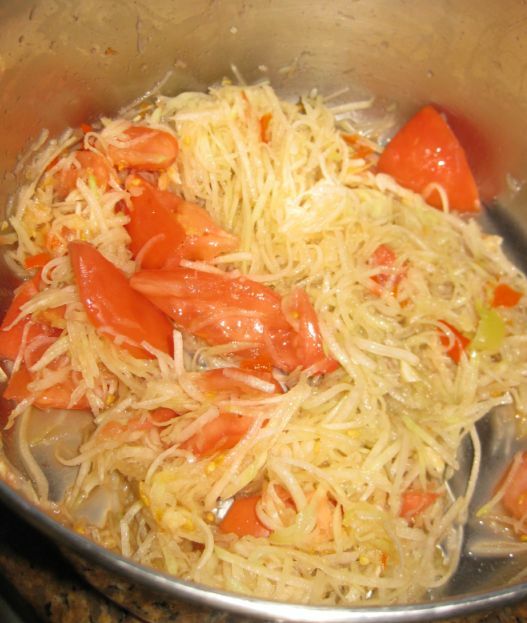 For me Tam mak hoong has to be salty, sweet, spicy and also a bit sour (lemon juice).